Shana has never given her guardian, Uncle Daman, a bit of trouble... that is until she turns eighteen and decides she is an adult and can therefore do as she pleases. After getting caught drinking and transporting illegal alcohol, the council in Jackson Settlement lock Shana and her friends up. Uncle Daman comes to her rescue, but she soon discovers she hasn't escaped punishment entirely. He gives her a spanking - her first spanking ever. He also insists that turning eighteen doesn't change a thing. She is still his ward, and she will remain subject to his discipline as long as she lives under his roof. Daman is shocked by Shana's sudden rebellious behavior, and he is determined to curb it by whatever means necessary. One spanking isn't enough, and his little niece soon finds herself back in his study, bent over his desk with her bottom bared for another lesson. 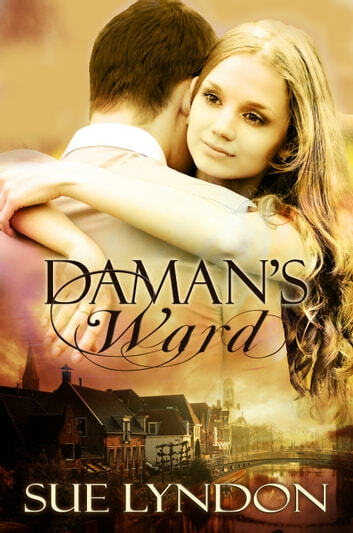 Daman disciplines her with love, and as time passes, he realizes his feelings for her have changed drastically. White hot jealousy consumes him at the thought of another man taking her away, and now he is reluctant to set up a marriage match for her even though she has come of age. She is his niece by marriage, not by blood, and he wonders if she could ever see him as more than her strict uncle. Dare he hope? A visit from a young man seeking Shana's hand in marriage puts fear in Shana's heart. She doesn't want to leave Uncle Daman. Not ever. She loves him, though she worries he will forever see her as a child and as his ward. She attempts to seduce him, but her plan blows up in her face and only gets her into more trouble. Uncle Daman keeps growing stricter and stricter, but her love for him doesn't falter. She is determined to stay true to him, and she tries her best to obey him. But the temptation of visiting the nearby gypsy village for a night of wild dancing is hard to resist, and she sneaks off with her friends, certain he will never find out and her bottom will be safe. When Daman discovers Shana missing from her bed in the early morning, he assumes she has been out all night with a man. He is heartbroken, furious, and can't help but feel betrayed. Misunderstandings, secrets, and frustrations threaten to drive them apart, and Daman still has to punish Shana for her disobedience. Neither of them are ready to confess their true feelings, but will a little honesty be enough to repair their changing relationship?